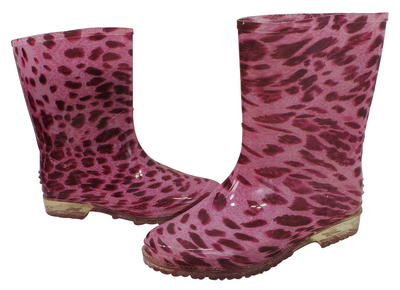 You will receive 10 Girls Pink Leopard Print Wellington Boots. Girls wellington boots. Pink and decorated with leopard print. Undersole and heel is translucent. You will receive a good mixture of girls sizes.